This is a larger, retro family bach with everything you need for a great time away in Taupo including free WiFi. It offers a large back section, a heat-pump and fire place to keep you cosy in Winter and a small Shopping Centre down the road which includes a 4 Square and Fish'n'Chip shop. The location is only 4 blocks back from the Lakefront and the 2 Mile Bay Sailing Centre. 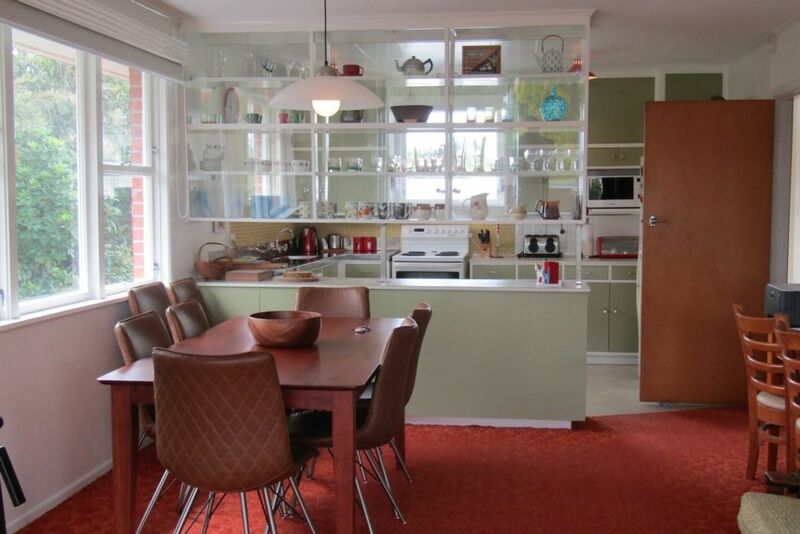 Please note - this is an older-style family bach, so if you're happy to have casual, retro surroundings then this will be a great property for you! It has everything you require for a great trip away as a group or family. There is also a tenant in the downstairs part of this property - so there will sometimes be a vehicle there when you arrive - don't panic! Just remember to respect each other please. Linen is bring your own, or hire it at $15 per person - please request linen hire upon first booking. great place to stay. Enjoyable for our group. Rooms were spacious and private. Well resourced kitchen and lounge. Neat balcony to enjoy some socialising. Great house for a large group. Don't expect the Ritz, it is just a very comfortable home away from home. I would recommend this to anyone. Great property would stay there again. Suited our families requirements admirably. The neighbours are all very nice. The only thing that could be changed is the vacuum cleaner. ?????????? Thanks for your response- the head of the vacuum cleaner was broken - I have replaced the head. Perfect for our needs (a large group) and very handy to everything (especially the hot pools!